They’ve defended Edward Snowden, Thomas Drake, John Kiriakou, and many others who told the public the truth and have been exiled, criminally investigated, or prosecuted under the Espionage Act. 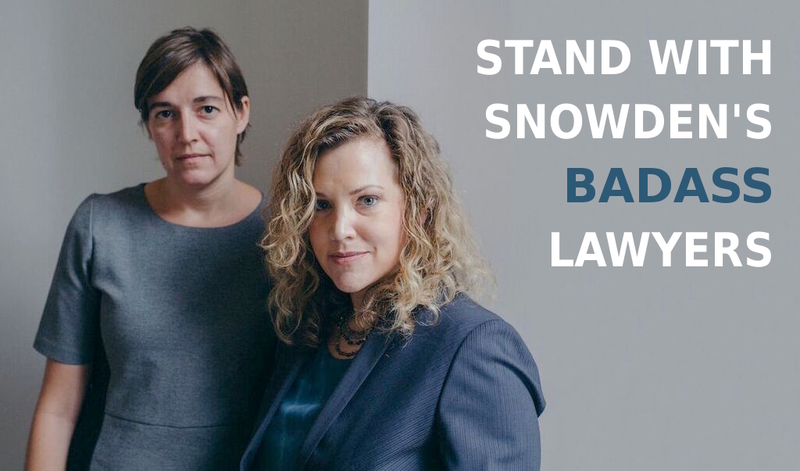 They’ve provided critical legal protection allowing these clients to speak out and shine light on torture, mass surveillance, and drone warfare. Now, in the age of “alternative facts” — when the Attorney General is threatening to prosecute both sources and journalists for espionage, when the President is openly promising to commit war crimes as official policy — their work protecting truth-tellers is critically important to our struggles for peace and justice. WHISPeR attorneys work almost entirely pro-bono. Your donations provide the independent funding that allows them to defend the most controversial and courageous whistleblowers. Your donations are tax deductible, and every donation helps expose abuses of power the government would rather hide.